Assignment: The chambers had recently expanded and added dedicated mediation facilities. It was time for an upgrade of their existing website. 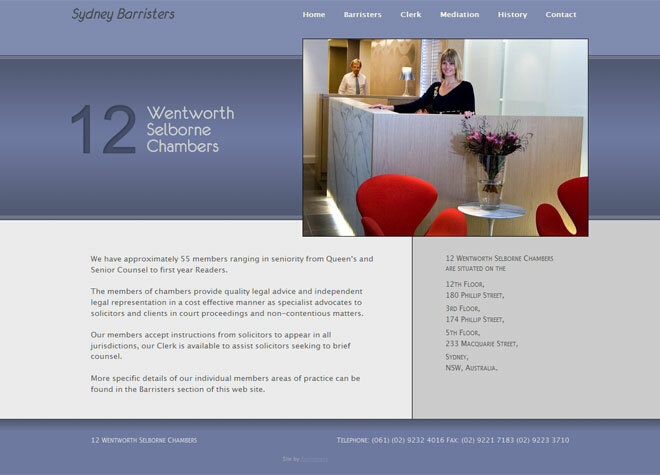 Slideshows used on the Home page to showcase the 2 reception areas and on the Mediation page to enhance the presentation of the new facilities.